In the days after the election, Clinton appeared to have accepted the loss with grace and retreated into solitude at her home in Chappaqua, New York. But eventually, she engaged in a series of events in which she listed off the reasons for her upset defeat to President Trump’s longshot campaign. Initially, her team went with the narrative that she lost because of a combination of Russian interference and the letter from then-FBI Director James Comey in October announcing the reopening the investigation into her private email server. However, as the months went by, Clinton’s list of people to blame grew. She would go on to blame the Democratic National Committee’s “non-existent” data operation, bad polling numbers, and “voter suppression” in Wisconsin. Over the months she has also blamed “anti-American force,” Obama for winning two terms, misogynists and of course, fake news. So it is unclear what Clinton’s book will bring that is new. A Clinton ally told Axios that the book would be a “bombshell,” but indicated it would be a “why I lost” type book that focuses in particular on Comey and Russia. Now free from the constraints of running, Hillary takes you inside the intense personal experience of becoming the first woman nominated for president by a major party in an election marked by rage, sexism, exhilarating highs and infuriating lows, stranger-than-fiction twists, Russian interference, and an opponent who broke all the rules. The book is due to be released on Sept. 12. 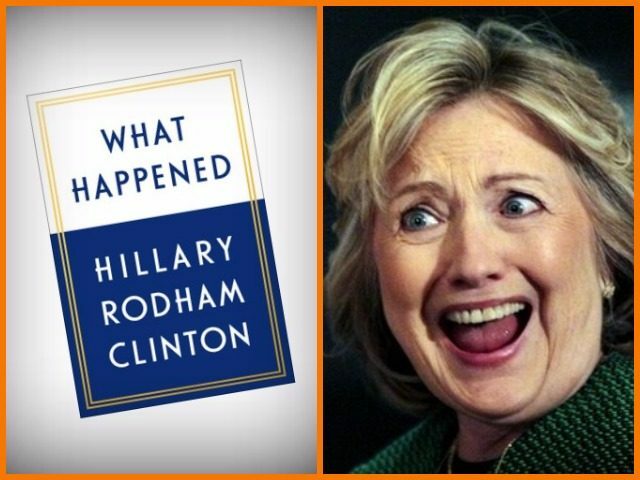 Clinton has written a number of books, most recently “Hard Choices” (2014) about her time as secretary of state, and “Stronger Together” (2016) that she co-wrote with her vice-presidential nominee Tim Kaine — a book that flopped and only sold 2,912 copies in the first week.